The long-awaited third edition provides a clear, incisive and up-to-date analysis of the main developments. 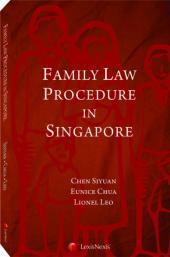 Since the publication of Elements of Family Law in Singapore (2nd Ed) in 2012, the practice of Family Law has been profoundly changed by sweeping legislative amendments and progressive judicial pronouncements. The long-awaited third edition provides a clear, incisive and up-to-date analysis of the main developments. Apart from a comprehensive update of the law across all chapters, the most significant enhancements include a new chapter on Litigation in Family Justice Court, and a complete re-write of chapters pertaining to the Division of Matrimonial Assets. The Family Justice Act No. 27 of 2014 formally embraced the, by now, universally accepted “family justice system”. The Act re-organised the courts hearing “family proceedings”. It created a complete hierarchy of Family Justice Courts – starting with the Family Court (that was established in 1995), with appeals as of right to newly created Family Division of the High Court, with further appeals only with leave to the Court of Appeal. With this, new Family Justice Practice Directions and Family Justice Rules were issued. 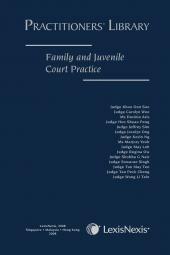 To discuss Singapore’s version of the family justice system and the procedural developments to support it, a new Chapter 19 “Litigation in Family Justice Courts”. - ANJ v ANK  4 SLR 1043, ATE v ATD and another appeal  SGCA 2, TNL v TNK and another appeal and another matter  1 SLR 609 prompting call to retrieve more substantive directive in predecessor section 106 that provides better guide, viz. court to “incline towards equality of division”. Leong Wai Kum was the first graduate of the newly established Faculty of Law, University of Malaya in Kuala Lumpur to join the Faculty of Law, NUS, as lecturer in 1976. She holds a postgraduate degree from Harvard University. 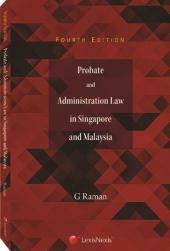 She dedicates herself to the development of the family law in Singapore and has written extensively on the subject.